Marcus Rashford will return to Manchester United for treatment after being ruled out of England's European Championship qualifying double-header through injury. Gareth Southgate's World Cup semi-finalists open their Euro 2020 campaign on Friday against the Czech Republic before meeting Montenegro on Monday. They will do so, however, without Rashford, who has been deemed unfit due to an ankle injury. Southgate said: "He's been with the medical team all week. We've tried to increase his training but it's clear to us he's not going to be ready for our matches, so he's out of the two games and going back to his club." 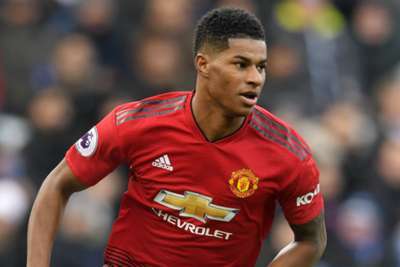 Rashford's absence is a blow to England, with the 21-year-old having established himself as United's first-choice striker following the arrival of Ole Gunnar Solskjaer as caretaker manager. He has scored 12 goals in all competitions this season, including a last-gasp penalty to help propel United past Paris Saint-Germain and into the Champions League quarter-finals. Southgate has not ruled out calling up a replacement for the Montenegro game should any of his other attackers suffer a setback against the Czech Republic. But he insisted it would be a player currently in the Three Lions' system. He added: "We will have a look where we after the game on Friday. "At the moment that’s not our intention, but if we lose anyone after the game then we'll do it. "If we do it, it'll probably be someone from the Under-21s, as we'll know they've been training all week, not in Dubai or Ibiza or anywhere else."